This year’s Salzburg Festival opens Saturday with a new production of Mozart’s Die Zauberflöte, an opera often performed elsewhere in translation, so “Trove Thursday” offers two for the price (!) of one: The Magic Flute with Margaret Price, Cristina Deutekom, Stuart Burrows, Delme Bryn-Jones and David Ward and Il Flauto Magico with Sena Jurinac, Mimi Coertse, Juan Oncina, Giuseppe Taddei and Boris Christoff. I’m always puzzled when I hear or read about people who disdain Zauberflöte presumably because its occasionally uneasy mixture of high and low somehow makes it less worthy than works of a unified greatness like Don Giovanni or Le Nozze di Figaro. While I understand that objection, for me this singspiel stands as a great final testimony that there wasn’t anything Mozart couldn’t do. The very first opera recording I owned was an Angel LP of highlights from the Otto Klemperer Zauberflöte but when I got into “pirates” one of my early purchases was a Flute broadcast from San Francisco featuring a ravishing and rare Pamina of Kiri Te Kanawa along with a charming Alan Titus as Papageno and a gravely youthful Robert Lloyd as Sarastro. Having already earned by Così-stripes via the Met recording with Eleanor Steber I didn’t have any trouble switching from the bits of the German version I had already inhaled to the SF English performance. 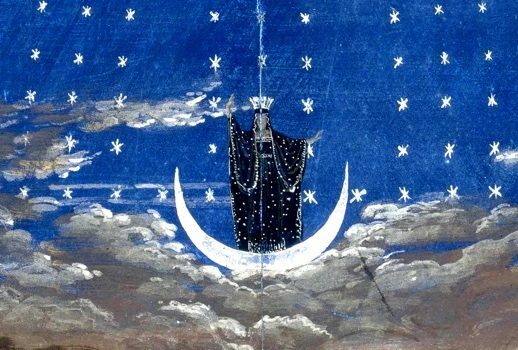 Perhaps the presence of Deutekom is surprising in the Covent Garden version but at the time she was the reigning Queen of the Night and there’s another broadcast from La Fenice in Venice the next year in which she sings the role in Italian. Margaret Price’s US opera debut was as Pamina in English at the San Francisco Opera in 1970 (alongside Deutekom, Burrows and Ward! ); she eventually recorded the role with Sir Colin Davis in 1984 long after she had stopped singing it onstage. Pamina might not be one of Jurinac’s more notable Mozart roles but she did sing it a dozen times (in German) at the Vienna Staatsoper during the mid-50s. This Naples broadcast though is the only recording of her in the role I’ve ever turned up. Although one might not normally think of Taddei as Papageno it was apparently a role he sang often. There are in addition to this performance at least two other recordings of him as the bird-catcher, both conducted by Herbert von Karajan—one performed for the RAI and one from La Scala. I wonder if Sarastro was Christoff’s only Mozart role. I haven’t unearthed evidence of another but surely he must have done at least Leporello or Don Giovanni at least once? The Met currently has a shortened family-friendly Flute that it trots out during the holidays. This year’s iteration looks particularly promising—conducted by Harry Bicket, it will feature Erin Morley’s first-ever Pamina as well as Ben Bliss as Tamino and the fiery Kathryn Lewek repeating her acclaimed Queen of the Night. Both versions of Mozart’s masterpiece canbe downloaded by clicking on the icon of a square with an arrow pointing downward on the audio player and the resulting mp3 files will appear in your download directory. More than 150 previous “Trove Thursday” podcasts remain available from iTunes for free, or via any RSS reader.